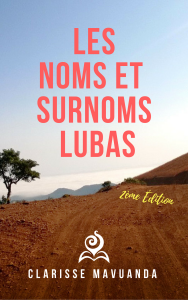 PEOPLE OF THE WATER: THE LIBINZA OF THE ISLANDS OF THE NGIRI RIVER, DEMOCRATIC REPUPLIC OF THE CONGO – Part 2: THE WATER..
(part 1: THE ISLAND VILLAGES) Although the Libinza live in villages, water is ever present. 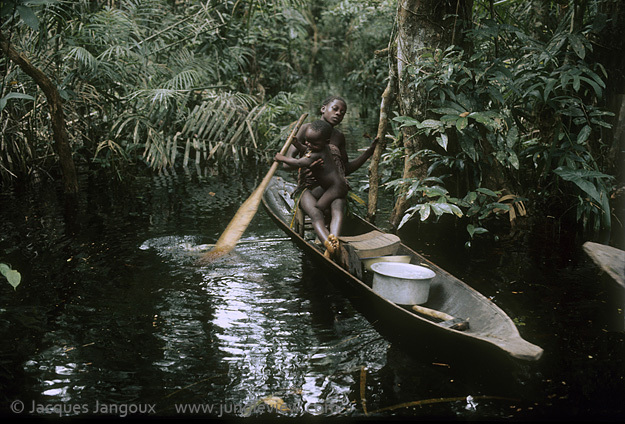 Transportation is by canoe, subsistence is mostly fishing. Since the earlier age children now that water is their environment. 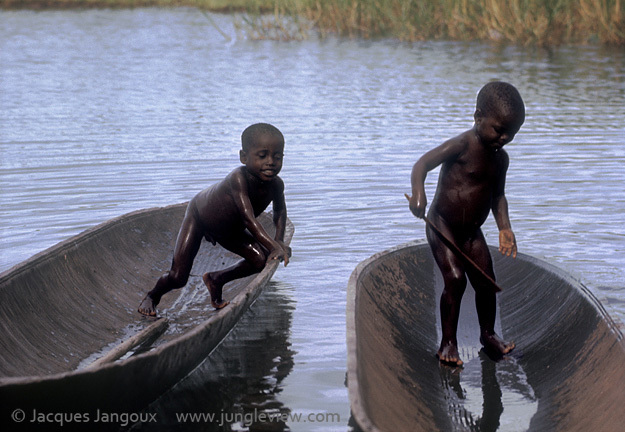 Boys of Libinza tribe playing in canoes. 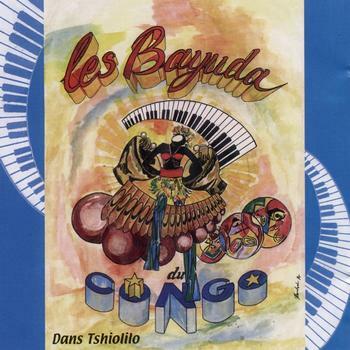 The Libinza live on the islands of the Ngiri River, tributary of the Ubangi River, Democratic Republic of the Congo, Africa. 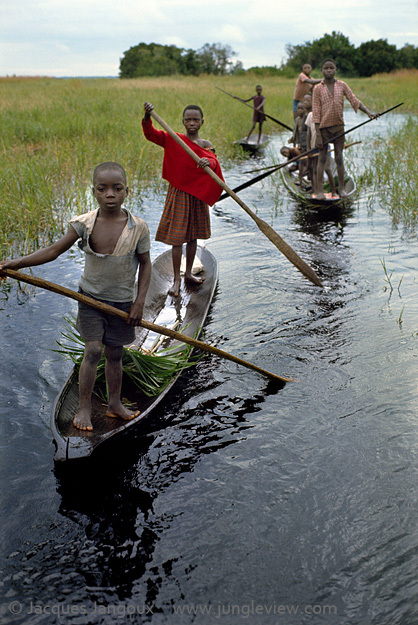 Children of Libinza tribe going to school by canoe. A vast area of swamp savanna, artificially managed by fire during the dry season, separates the islands from the swamp forest. 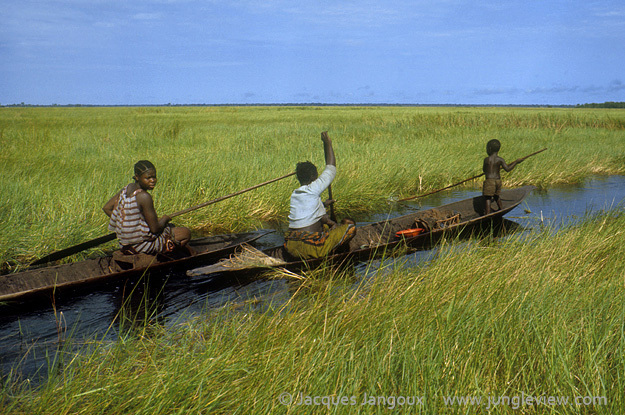 Women in canoe in swamp savanna, going to swamp forest to fish and collect drinking water. 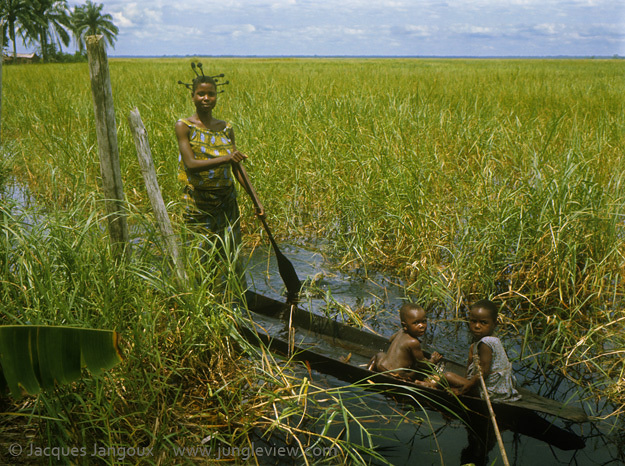 Woman with children in canoe in swamp savanna, going to swamp forest to fish and collect drinking water. From the swamp grasslands to the swamp forest. 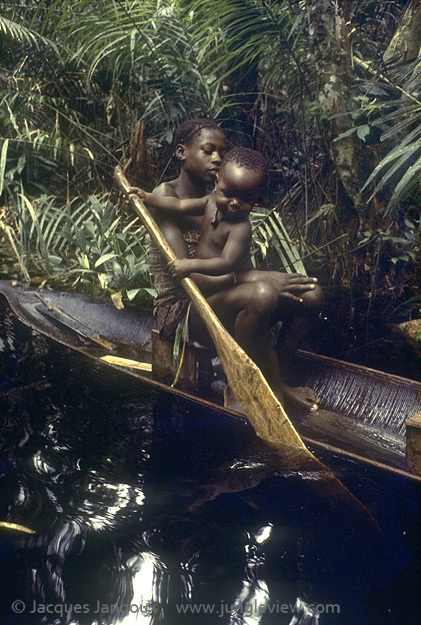 Girl with baby learning to paddle in canoe in swamp forest. 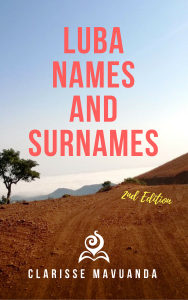 PEOPLE OF THE WATER: THE LIBINZA OF THE ISLANDS OF THE NGIRI RIVER, DEMOCRATIC REPUPLIC OF THE CONGO – Part 1: THE ISLAND VILLAGES.